Film version of Rupert Goold's production, shot on location in the mysterious underground world of Welbeck Abbey and set in an undefined and threatening central European world. 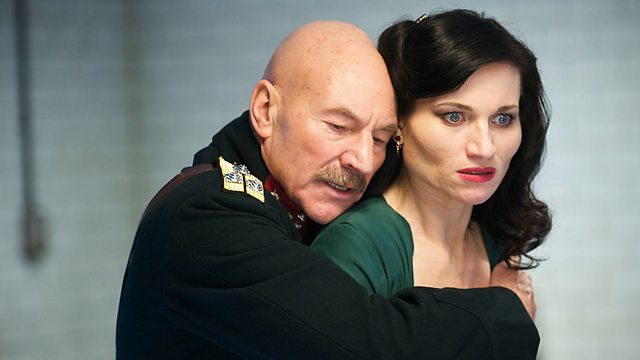 Film version of director Rupert Goold's highly-acclaimed production with Sir Patrick Stewart as Macbeth and Kate Fleetwood as Lady Macbeth, originally staged by Chichester Festival Theatre and later a sell-out hit in the West End and on Broadway. Shot on location in the mysterious underground world of Welbeck Abbey in Nottinghamshire, the film is set in an undefined and threatening central European world. Immediate and visceral, this is a contemporary presentation of Shakespeare's intense, claustrophobic and bloody drama. Patrick Stewart won Best Actor and Rupert Goold Best Director in the Evening Standard Theatre Awards for the stage production and both Stewart and Fleetwood were nominated for Tony Awards for their performances. Director of the play ENRON and the Royal Shakespeare Company's current Romeo and Juliet, Rupert Goold has been described by critic Benedict Nightingale as 'the hottest, most exciting director around', and Macbeth is his debut as a film director.